For some gentlemen, presenting the right first impression is very, very important. That is why they spend a lot of time and effort cultivating the right image. Depending on personal preferences you might opt for a tailored Saville Row suit or more casual Italian counterpart. Then comes the big decision of which shoes, tie and shirt to wear. There is also the question of which Dress watch to wear. Certainly most discerning male buyers will choose a Swiss made mechanical watch. Here are five elegant timepieces that have timeless appeal. 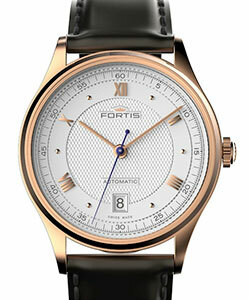 Fortis have a long history of producing high-quality Swiss made mechanical watches. The Terrestis is one of the company’s more traditional designs. This particular model has a modest luxurious 18-karat rose gold case measuring 40mm x 7.35mm. What makes this timepiece so appealing is the sublime textured silver dial with contrasting raised gold numerals. At the heart of the watch is a 21-jewel ETA 2892-A2 self-winding movement. 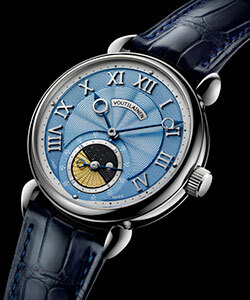 Finland-born Kari Voutilainen is one of the most respected watchmakers in the world of horology. The GMT-6 is a beautifully hand-crafted timepiece from his current collection. Dimensionally the watch exudes classical proportions and has an opulent 18-karat white gold case measuring39mm. What makes this timepiece so extraordinary is the meticulously decorated solid silver dial with gold indexes.Powering the watch is a refined 21-jewel mechanical hand-winding movement. 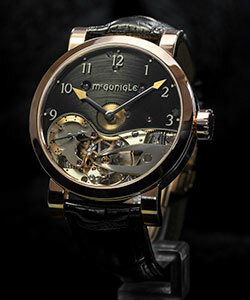 McGonigle is an exclusive Irish brand that specializes in the production of high-end limited edition watches. A great example is the wonderfully appointed Tuscar Bánú. This watch has an extravagant 18-karat rose gold case that measures 43mm. What makes this timepiece so special is the exquisite part skeletonized black dial with large silver numerals. Beneath the magnificent façade lies a bespoke 31-jewel mechanical hand-winding movement. Get the Tuscar Bánú here. 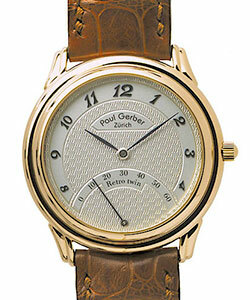 Paul Gerber is a watchmaker of distinction that is located in Zurich, Switzerland. The Retro Twin is one of his latest and most impressive watches to date. With a diminutive 18-karat yellow gold case measuring only 35.6mm the watch should appeal to the classical collector. What makes this timepiece so alluring is the sensational hand engraved dial with retrograde second indication. At the heart of the watch is a sophisticated mechanical movement with Cotes de Geneve decoration. Get the Retro Twin here. François-Paul Journe (F.P. 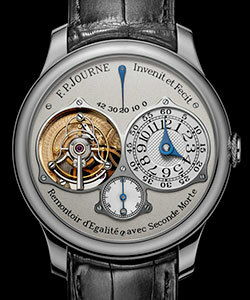 Journe) is widely regarded by his contemporaries as a watchmaker of the highest caliber. The Tourbillon Souveraine is one of the more exclusive offerings from his current collection. Dimensionally the watch has a classically proportioned 18-karat gold case that measures 40mm. What makes this timepiece so amazing is the intricate gold and silver dial with exposed tourbillon carriage. Powering the watch is an accomplished Swiss-made 26-jewel mechanical hand-winding movement. Get the Tourbillion Souveraine here. Dress to impress with the perfect watch, see our full range of watches.